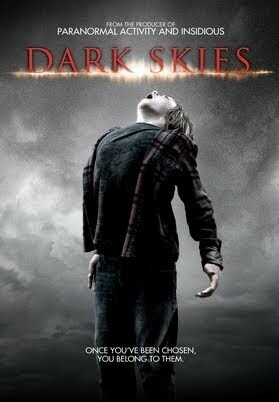 From the producer of PARANOMAL ACTIVITY, INSIDIOUS, and SINISTER comes DARK SKIES: a supernatural thriller that follows a young family living in the suburbs. As husband and wife Daniel and Lacey Barret witness an escalating series of disturbing events involving their family, their safe and peaceful home quickly unravels. When it becomes clear that the Barret family is being targeted by an unimaginably terrifying and deadly force, the couple takes matters in their own hands to solve the mystery of what is after their family. Written and Directed by Scott Stewart (PRIEST, LEGION). Starring: Keri Russell (TV's THE AMERICANS), Josh Hamilton (J. EDGAR), Dakota Goyo (RISE OF THE GUARDIANS), and J.K. Simmons (SPIDER-MAN FRANCHISE).